A post that looks at Rob Ford’s legal troubles in light of past cases of municipal conflict of interest in Canada. He was a controversial mayor from the start. An unabashed populist, he rallied support during his campaigns by promising to cut taxes and reduce waste at city hall. As a result, he won an impressive share of the popular vote. He never denied having links to the city’s business and development community—he ran a successful business himself—and his policies certainly reflected that. From early on, accusations of bending the rules shadowed his career. But it was a legal challenge from an ordinary citizen alleging a conflict of interest that led to him losing his job. That man’s name was William Hawrelak, mayor of Edmonton from 1951-59, 1963-65, and 1974-75. His story is remarkable, and not just because of its superficial similarities to that of recently deposed Toronto Mayor Rob Ford. Few Canadian politicians have managed to combine success and failure as dramatically as he did in his 30-year career in public office. But in another way, his tale, like Ford’s, is nothing new. 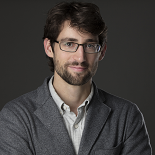 Concern over politicians using public office for private benefit has often dogged local politics in Canada, and one result has been strict conflict of interest law. In this post I’d like to take a look at Rob Ford’s removal from office in light of a short history of municipal conflict of interest in Canada. It turns out there is nothing unprecedented about the penalty he faces, or the populist way he and his supporters have responded to his removal. Typically, conflict of interest offences occupy the grey area between outright corruption (leading to criminal charges) and breaking local rules of conduct. While all levels of government have regulations governing the issue, local authorities have been the most concerned with legislating ethical conduct. This is no surprise, since the principal job of local government in Canada historically has been to regulate property, development, and local business licensing: all areas with a high risk of conflicts of interest. Legislation on the issue dates back to the Baldwin Act of 1849, but over the past few decades many provinces have adopted separate conflict of interest statutes, including Ontario’s Municipal Conflict of Interest Act (MCIA). These laws try to prevent private interests from interfering with public duties in two important ways: first, by restricting who can hold office—city employees and their spouses are often disqualified—and second, by requiring officials to disclose conflicts of interest and refrain from voting on matters in which they have a financial interest. This adds up to a significant amount of legislation—but then, conflict of interest has long been a significant problem. Canadian case law contains dozens—I count at least 90—of cases at the municipal level. The law has been applied in a variety of situations, ranging from the borderline criminal to the simply improper. For an example of the former, we need look no further than William Hawrelak. His record two removals from office stemmed from “gross misconduct” in a series of land transactions, including re-zoning land he owned and arranging to have the city sell property to a company in which he held a large stake. More recently, but still in the same vein, Mississauga Mayor Hazel McCallion has become embroiled in a conflict of interest case—her second—relating to her support for a motion that would have saved her developer son $11 million in fees on a multi-billion dollar project. 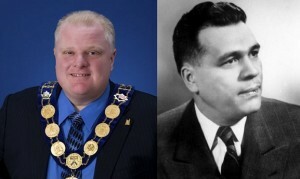 On the other end of the scale, take the case of Dennis Flynn, elected mayor of Etobicoke in 1972. A month into his term a judge removed him from office for a conflict of interest because he was still technically a city employee in neighbouring Toronto at the time of his election. Rob Ford’s offence seems to fall somewhere between these extremes. On November 26th a provincial court ordered Ford to vacate his seat, after finding that he had contravened the MCIA by voting at a council meeting on a matter in which he had a direct financial interest. The issue under discussion? The repayment of $3150 in donations to his football foundation that had been solicited with city resources (arguably another conflict of interest). According to the judge’s decision, the amount of money—modest, and destined for charity in any case—mattered less than the mayor’s wilful mixing of his public and private roles, and his refusal to abide by (or even read) the law on conflict of interest. So while Ford is no Hawrelak, using public office to enrich his business, he is still not quite a Flynn, turfed out on a technicality. In Ontario, officials found guilty of conflict of interest must be removed from office. They can also be banned from running in future elections for up to seven years,as was the case with former Sault Ste. Marie Mayor Joe Fratesi in 1996. In light of the minimum penalty, it’s no wonder that some (including the judge who ruled against Ford) have described the MCIA as a “blunt instrument” ill-suited to punishing minor offences. In other provinces and at other levels of government, a wider range of penalties exist, including reprimands and fines. And there are always criminal charges for more serious ethical breaches, as the fallout from first few months of Quebec’s Charbonneau inquiry has demonstrated. Of course, not all accusations of conflict of interest end in a vacant seat. And when they do, it’s worth noting that voters don’t always see the actions of their elected officials in the same light as the courts. They seem more willing to forgive a case of conflict of interest than a suitcase full of cash. So while some mayors and council members have seen their careers in municipal politics ended by conflict of interest rulings (Moncton Mayor Gary Wheeler, for example), many others have been put right back in office by the electorate. Losing one’s job thanks to the ruling of an appointed judge—as opposed to a jury in a criminal case—has lent itself naturally to appeals to democracy and the common sense of the average voter. When Dennis Flynn lost his seat in 1973, letters expressing public outrage at what they saw as an undemocratic penalty filled local newspapers. He would go on to win a by-election and serve for more than a decade as Etobicoke’s mayor. Even William Hawrelak, despite his more serious offences, bounced back twice, although it took him a full four years after his first removal in 1959, and nearly a decade after his second in 1965. Despite his illegal actions he remained a popular figure, and when he unexpectedly died in office in 1975, thousands of mourners came to pay their respects. Voters in Mississauga also seem ready to forgive Hazel McCallion her improprieties, which for many are overshadowed by her success at boosting the city to investors. Rob Ford and his supporters are banking on a similar effect in Toronto. They hope to see the mayor’s waning popular support buoyed up by anger at his ejection from government. The court did not ban Ford from seeking office in the near future, so if his appeal fails, the next mayoral election may be decided by how the public perceives his offence. A website created by the mayor’s supporters calls the court’s decision “politically motivated,” and “undemocratic,” since it apparently went against the wishes of 400,000 Toronto voters. It also hosts a petition asking for his reinstatement. Opponents of a second Ford administration should avoid a celebratory tone and pay real attention to this. As history shows, conflicts of interest have been a feature of urban politics for decades. But so has the comeback. This entry was posted on December 5, 2012 by Daniel in Active History, Toronto and tagged cities, politics, Rob Ford, Toronto, urban history.